If you really sit down and think about it, the Pokemon universe is downright terrifying. The entire world is overrun with monsters, and every single person you meet is creepily obsessed with super-powered dog fighting. There are Pokemon churches, everyone talks about their favorite Pokemon all the time, and no one can do anything without the help of strange, magical, destructive creatures. Oh, and if you step into the wrong bush you might be shocked to death by an electronic rat. The protagonists of the Pokemon series are always children, and even though they’re exploring the entire continent in their quest to “Catch them all” they run into very few adult males. Where have all the men gone? Well, some believe that they’re all dead. There’s a theory floating around the internet that Pokemon takes place after a massive war, and while we typically don’t subscribe to such conspiracies… this one sort of makes sense. Most of the men in the series are old people, doctors, scientists, and criminals – in other words, the guys that wouldn’t have been on the front line of a war. Wait, that’s actually not true, you also run into a man named Lt. Surge. He’s the Gym Leader of Vermilion City's Gym, and once you meet him he says, "Hey, kid! What do you think you're doing here? You won't live long in combat! That's for sure! I tell you kid, electric Pokémon saved me during the war! They zapped my enemies into paralysis! The same as I'll do to you!" 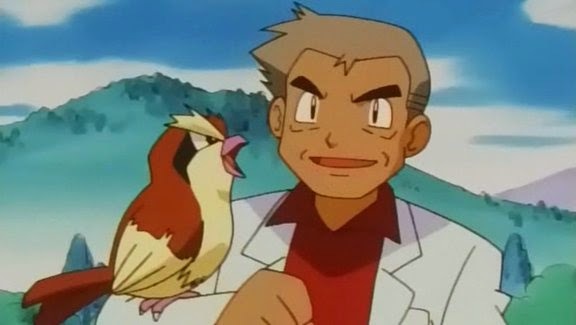 One of the most important messages in Pokemon is to treat Pokemon as friends. Trainers that push their Pokemon too hard? They're seen as villains. Pokemon is all about the bond between a trainer and its Pokemon. It's a story of friendship. Until the trainer gets hungry, that is. 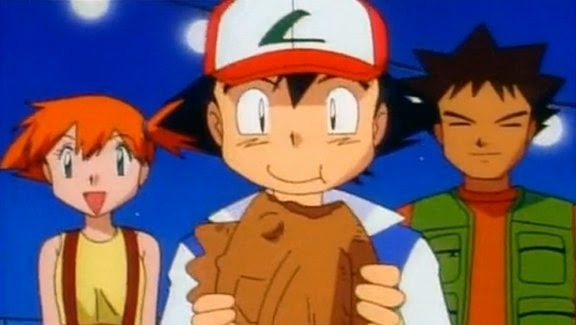 In the television show, movies, and the game, humans are seen eating all sorts of different types of food, and while it's never explicitly stated that they're dining on Pokemeat, they sort of have to be. Need some proof? There are no other animals in the world. Not one. Anything that we'd consider to be an animal that we would eat – like a cow, or a fish – is just labeled a Pokemon, shoved into a ball, and forced to fight dragons while prepubescent children scream at them. We have to imagine the reason no one in the Pokemon universe ever talks about it is because they know how horrific it is. These incredible, edible Pokemon are highly intelligent, sharing a common language and understanding humans. Some can even speak to people for crying out loud. But whatever – it's cool. Someone grab some BBQ sauce, let's throw another Skitty on the grill. In our world, only people that DVR Ghost Hunters International actually believe in ghosts. It's generally assumed that, once you're dead, your time on earth is completely and totally gone. You're either dust or chilling in the afterlife – either way, you're not hanging around to haunt people. The same can't be said about the Pokemon universe, where ghosts are not only real, but they're everywhere, and they're horrifying. From Gengar to Ghastly, Pokemon's ghosts are universally terrifying, with moves like "Nightmare" and "Dream Eater." 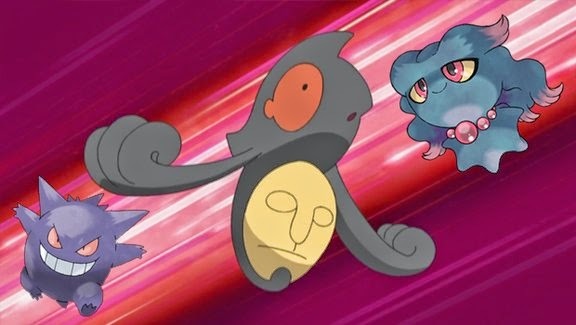 The most disturbing is likely "Yamask," who has the most upsetting Pokedex entry imaginable: "These Pokémon arose from the spirits of people interred in graves in past ages. Each retains memories of its former life. Each of them carries a mask that used to be its face when it was human. Sometimes they look at it and cry." LIKE, FOR REAL? WHAT THE HELL? And though it goes without saying, the fact that children carry around these ghosts in balls and make them fight each other is adequately sickening. Though each region of the Pokemon world has different towns, cities, people, and Pokemon, there's one thing they all share: gangs of criminals hell-bent on taking over the world through mafia-like tactics that border on terrorism. 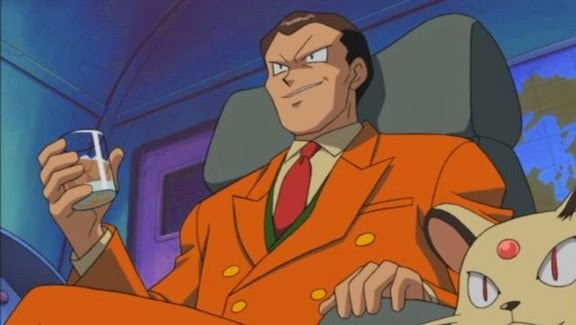 Pokemon Red and Blue version had Team Rocket, who, while villainous, were somewhat bumbling, and each future title involved a different "Team" of strangely-dressed criminals trying to use Pokemon for devious purposes. And yet, for whatever reason, children are still allowed to go off on adventures without a care in the world. The protagonists always cross paths with the different groups, and they're almost always attacked by them, so it's not as if these gangs have the scruples to not murder children. Parents seriously just don't care if their kids are murdered by the mob. That's the only logical conclusion. The world of Pokemon is run on... well, Pokemon. They're cheap labor, and they are used for everything. But in order for Pokemon to be trained and captured, there needs to be an ample supply of Pokeballs, and only one company mass-produces Pokeballs: Silph Co. Some other companies make them, but no one else has the market completely cornered. It doesn't take an expert economist to explain why this is a bad thing. Silph Co essentially owns the world, as evident by the fact that there's a Pokemart in every town. Though they're not owned by the same people, Silph Co has an exclusive deal with Pokemart, and – shocker – that's the only widespread place of business in the entire series. Well, that and the Pokecenter, which only heals Pokemon if they're in Pokeballs. That are made by Silph Co. Noticing a trend, here? If Silph Co decided to raise the prices, or, for whatever reason, stop making Pokeballs, the economic repercussions would be absolutely catastrophic, leading to an overpopulation of Pokemon and a financial crisis that would bring the entire world to its knees. Yes, Silph Co is that powerful. Pikachu? Gengar? Snorlax? Those Pokemon aren't really anything special. They're a dime a dozen – shove one in a room with a Ditto, turn on some Barry White, and a few days later you're tripping over miniature pocket monsters. But there are some Pokemon that are special. Some that are... unique. These Legendary Pokemon have appeared in every game and movie, and once you get over how cool they are, you start to realize how frightening it is that these powerful creatures even exist. The first, and most popular Legendary Pokemon was Mewtwo, a failed clone of Mew that celebrated his birth by slaughtering a room full of scientists. Looking back, he might be the weakest Legendary Pokemon. More powerful ones have been found over the years, including a trio that literally created the universe. 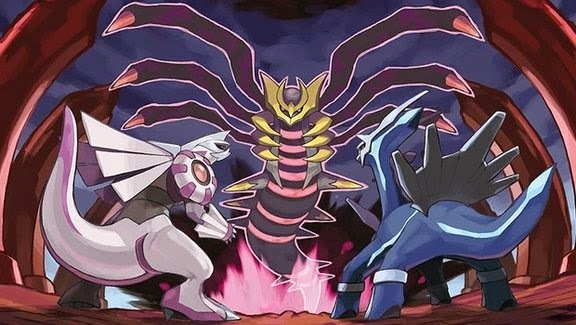 Dialga made time, Palkia made space, and Giratina made antimatter. Now they're hanging out in caves waiting for children to capture them in balls. 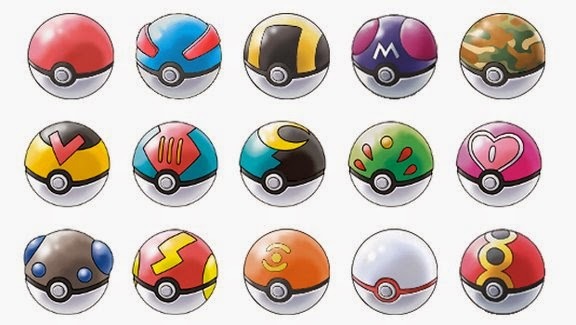 Everything that isn't a human is a Pokemon in the Pokemon universe. Every animal screams its own name and shoots our elemental attacks, and every plant can summon a tornado filled with razor-sharp leaves to cut up its enemies. 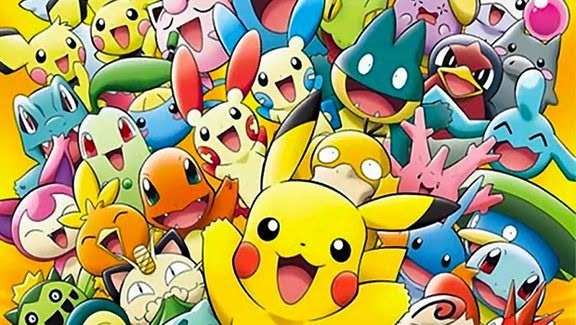 As the series goes on even inorganic things are revealed to be Pokemon – there has been a Pokemon version of just about everything from from ice cream to pine cones, proving that absolutely anything can be a Pokemon. Seriously think about how frightening that is. Sure, right now no one thinks that there's a chair Pokemon, but the next game could include "Chairzor," and suddenly you're worried that you're going to get attacked with Fury Swipes every time you sit down. Planning on enjoying a cup of tea? Better make sure it's not "Teeleaf" or something. Because anything can be a Pokemon, you've got to assume that everything is a Pokemon, which makes for the most frightening existence imaginable. You're never alone. You're never safe. You're surrounded, at all times, by monsters bred for battle. Good luck sleeping at night.